Mia's world has fallen apart. Then, just when she thinks it can't possibly get any worse, it does. Mia Harrington's father just lost his brave battle with cancer. Naturally, she's devastated. With her mother long-since dead, and no siblings, Mia has a great deal of responsibility to shoulder. She's also the sole beneficiary of her father's estate. Or so she thinks. Unbeknownst to Mia, her father made a change to his will. She can still inherit, but only if she marries a suitable man within twelve months. If she doesn't, her vile cousin will get everything. Determined not to lose her beloved childhood home, she resolves to find someone that fits the bill. What she isn't expecting, however, is for that someone to be into sharing women with his best friend. In the meantime, Mia's friendship with the estate gardener has blossomed into so much more. She can't possibly plan to marry one man, while also being involved with two others... or can she? 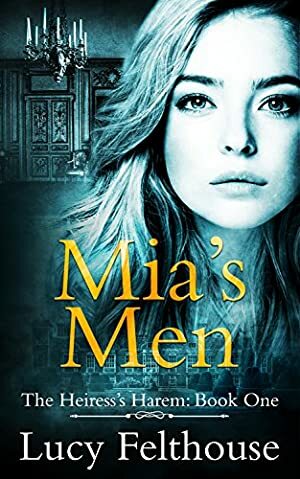 Mia's Men is the first book in The Heiress's Harem contemporary reverse harem romance series. Log In to track Lucy Felthouse on eReaderIQ. to be notified each time the price drops on any book by Lucy Felthouse. to stop tracking Lucy Felthouse. We started tracking this book on December 31, 2017. The price of this book has changed 10 times in the past 476 days. The highest price to date was $3.99 last reached on April 2, 2019.